Item: CVA 789-35 - Overturned Engine, Duncan Building, Pender St. Item : CVA 789-35 - Overturned Engine, Duncan Building, Pender St. Overturned Engine, Duncan Building, Pender St. 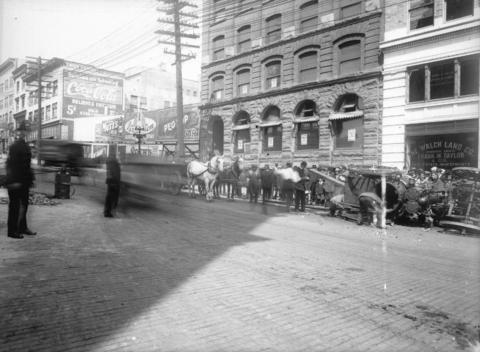 Photograph shows The Walch Land Co. in background (123 Pender St.).